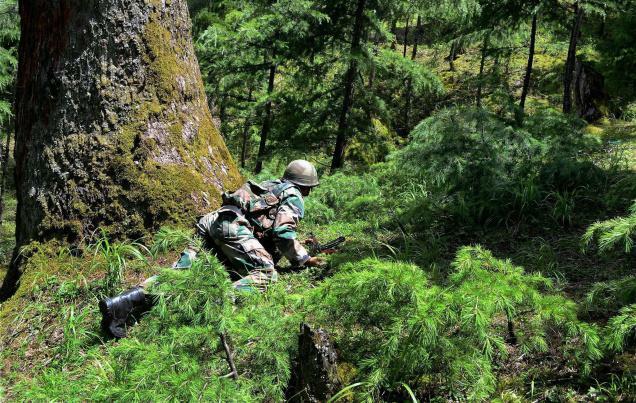 Islam Around Us: Army foils infiltration bid along LoC in Kupwara. prevent infiltration by militants across the border. SRINAGAR | PTI | 18 Aug 2013 :: Army on Sunday foiled an infiltration bid by militants near the Line of Control in Kupwara district of Jammu and Kashmir but there was no report of any casualty. “Alert troops noticed movement of heavily armed militants along the Line of Control in Keran sector of Kupwara at around 2.30 am. The militants were challenged, triggering off exchange of firing between the two sides,” an army official said. He said the firing lasted for nearly three hours and the militants have apparently crossed the LoC back in Pakistan-occupied Kashmir. “We are not leaving anything to chance and combing operations are going on in the area. So far no recoveries have been made from the scene of the gun battle,” he said. The official said there were no casualties reported in the operation. Infiltration has been on the rise since the month of June this year as security officials believe that the handlers of militants in PoK are trying to push in as many ultras as possible to replace the cadres eliminated by security forces. Army has said it has killed 28 militants in counter-insurgency operations since June 24 this year in Kashmir valley. Meanwhile, security forces have launched a cordon and search operation this morning in Handwara area of Kupwara, 85 kms from here, following presence of militants in the area, police said.